Our company is considered as a well-known name in this domain that involved in presenting a best-in-class Hydraulic Pallet Stacker to our prestigious customers. 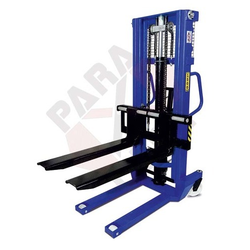 We manufacture a wide range of Stackers. 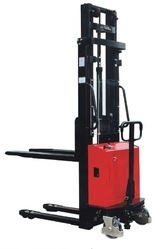 Hydraulic Stackers are user friendly, robust and safe for any industrial application. Stackers are used in various applications like Automobile Plants, Ceramic, Chemical, Pharmaceutical and many more industrial applications. Our Stackers are highly durable and are customizable up to the extent of the customer’s requirement.